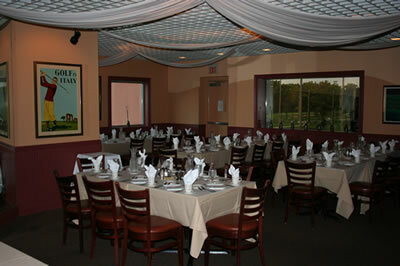 Club Casa Café is conveniently located in the Des Plaines Golf Center. This is not your typical Club House, the restaurant offers a wide variety of menu options including many unique appetizers, Classic sandwiches, delicious salads, Authentic Pastas and steaks and seafood. The dining room can be privatized to host functions on weekdays and at lunch on the weekends. It has a view of the driving range and easy access to the bar area. Perfect for small showers and birthdays. We offer elegant plated entrees, comfortable family style meals to casual buffet packages. If you don’t see what you want, please ask us and we would be happy to custom design a menu for your specific need.